Self Balancing Scooter. Hover board Segway. Drift Board. Smart wheel scooter. Hands Free Segway. “A mini segway which is way much more cooler than the big expensive segway”. There’s no official name that you can tag to it since people call it so many names. But whatever you want to call it, it can be the scariest thing to ride or the coolest thing that you can ever ride on. Since there are a lot of buzz about it online from different people buying it left and right and falling from it front and back, and invented tricks using it, we have come to review some of top rated scooters so that you can get an unbiased review on all these different wheels up for grabs. Our Website provides unbiased reviews on the top rated Self Balancing Scooters, Drift Boards and Electric Scooters. We give our opinion based on firsthand experience on the products themselves. 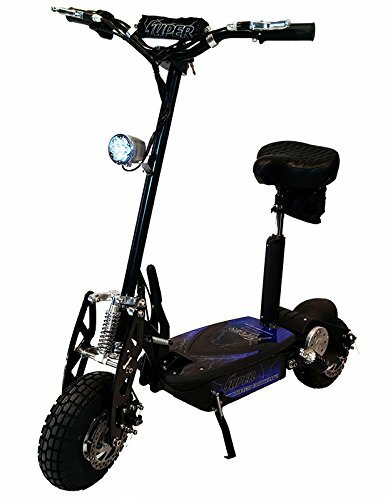 The aim of this website is find the best, most affordable “bang for the buck”, most reliable and coolest smart drift scooter available in the market. Expect to get an honest, well thought of review that you will get for all the scooters. Before we move on to the reviews, let’s try to differentiate the available scooters. Self Balancing Scooters – it is generically a two wheeled, self-balancing battery powered electric scooter. 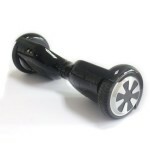 The first ones that became famous and were out in the market was introduced by Segway Inc. The name is derived from segue which by definition means smooth transition. It is considered a personal transporter and can only carry one person. It is kept upright by a gyroscopic sensors and accelerometer based leveling sensor. Smart Balance Wheel (Single Wheel) – By the name itself, its difference from the other self balancing scooters and drift boards is that it only has one wheel. If the 2 wheeled self balancing scooter seems hard to balance, this unicycle scooter will certainly give you a more challenging first ride. Before purchasing any cool new gadget, there are certain factors you need to consider aside from the coolness factor of course. Here are some factors which we think are essential before spending that hard earned money. Run Time – Run time is the number of hours the board can go with just one charge. Different boards have different capacities of charging time. The general charging time in most scooters is about 2- 3 hours which are supposed to last 10-15 miles depending on the terrain, speed and use. Top speed of most scooters is about 8 mph. Price – This is definitely a big factor to consider. Most people online have seen the first segways with the handles and wanted to buy them immediately but because of price, most held off. Well, the wait is over for more affordable scooters. They can be bought for as low as $300. But some variants can cost up to $1700 or even more. Price usually varies because of the different features of a smart drifting scooter. Reliability – This is a major factor to consider when purchasing a smart electric scooter. There are risks in riding these two wheeled or uni-cycled electric skateboards, which is the more reason why you should only purchase reliable scooters. As with many products made in China, you have to be skeptic about the overall quality of the product. Check how reliable the manufacturer and the distributor by the looking at reviews of both the product and the manufacturer. 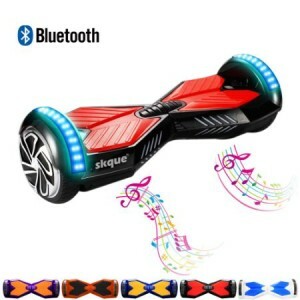 Warranty – Although most two wheel electric skateboards are made in China, a product that comes with a good warranty is the safe bet. There are scooters which can extend to up to 2 years of warranty. A product that is backed up by only one month of warranty will usually be destroyed in less than six months. If your scooter has a 60 day money back guarantee, it is best for you to try out the product thoroughly after purchase. Weight Capacity – One of the reasons why a self balancing smart scooter gets damaged is the weight put upon the scooter. It can usually withstand the speed, the sudden stops, the tricks, the time of usage or the overcharging you give it, but the weight it has to endure for long periods of time can destroy the scooter. Most smart balance wheel scooters can take up to 220 lbs. Electric Scooters are getting really popular and have received different reviews on YouTube. Once you get the hang of riding it, you can be riding like a pro in no time. The device itself is very intuitive so once your feet are firmly positioned and you know how to properly lean to maneuver it, you can be cruising at top speed in no time. Although these self balancing scooters seem to be the coolest things right now, they still aren’t perfect and need some improvement and tweaking. One aspect is how to avoid getting scratched from rough riding it. Another factor is quicker charge time. Just like when the segway was first released a couple of years back, we really thought that they took us into the future. Well, these scooters are the future now and we are definitely going to anticipate further improvements from the designers. 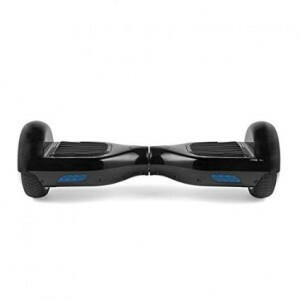 Self Balancing Scooters, drift boards, hover boards or segways. Whatever you want to call it, it is the fastest rising sensation in the toy category. Why? Who wouldn’t want to get a glimpse of the future? If people have been watching movies and trying to predict the gadgets of the future, this self balancing scooter is somewhat of a taste of that future. A couple of years back, this type of scooter might not have been imaginable to your grandparents, but lo and behold, there are tons of people posting online reviews in their blogs, through YouTube and other social media channels how they found these scooters a cool gadget of the future, what it can do, what it can’t do and the like. Our Website is aimed at giving you a better glimpse of that future by showing you the top 5 smart wheel scooter among the different scooters we have tried. With all the self balancing scooters that are available in the market and those that Our Website have tested, we have come to conclude that these are the top 5 scooters which we recommend for you to add in your shortlist before you swipe that card. These are not comprehensive reviews but a quick rundown of how these two wheel or unicycle electric skateboards have fared with our field testers and expert reviewers. Easy to Handle – a lot of the reviews online would say that it really is awkward to ride at first because the control is somewhat counterintuitive which makes confuses the rider. But after the first few rides, (or fall) it will become easy to handle. Once you get the hang of it, the manoeuvrability is incredible. Doing a spin in one place can easily be learned. Level up Design – It looks cooler than other generically designed scooters. Plastic material – The overall cover looks great. It doesn’t feel cheap. But with a couple of rides it will get scratched and after getting scratched it doesn’t look so pristine anymore. The plastic build is not scratch resistant. 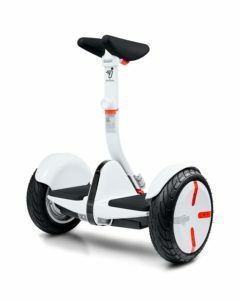 Price – What makes this top notch in our review list is that it is one of the most affordable self balancing scooters in the market. Battery Life – Battery life is meant to last to about 20kms. After a couple of hours of testing from a full charge, the battery life proved to be top notch. Overall Design – It certainly looks futuristic. The gyroscope is accurate and the switches for turning, speeding up, braking are accurate to the millisecond. Top Speed – According to the manual that comes with the package, it can reach up to 10 kms per hour which is fast for a small 1 wheeled self balancing scooter. After a couple of test runs, it comes close to 10kms per hour and can run top speed constantly without any hiccups. Futuristic Design – The design is definitely futuristic. It is tougher than it looks. It can get some scratches from you riding it but you can give it a tough ride. The gyroscope is responsive to your control. Easy to Carry – Compared to a 2 wheel self balancing scooter, this one wheel scooter is easier to carry because of the handle on the device. What’s good about the handle is that it does not protrude while you are riding it compared to Airwheel’s unicycle scooter. The design team really spent a lot of time to make this eye candy. 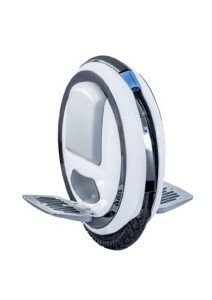 Price – It is one of the more expensive smart wheel self balancing scooters in the market. You get this price because it really looks like it is a thing of the future. Bluetooth Speaker – If you want to cruise in style, this is a top choice. It lets you play music from your phone just by pairing the scooter with your phone. Maximum Load Capacity – Amazingly enough it can carry heavier load compared to other self balancing scooters. It can bear up to 260 lbs of weight although battery life and speed would be affected if you push the load limit. Price – It is not one of the most affordable self balancing scooters in the market. Because of the added features, it definitely will cost a lot more than generic scooters. Sturdy and Very Well Made – What’s surprising about this scooter is that it really is well built. The material is tough. The motherboard, gyroscope and response of the switch are accurate. Just one wheel – What’s not cool about that? Being able to hover at 5miles per hour in a self balancing one wheeled scooter is always cool on any given day. It is easier to carry around if the battery dies out on you since it has that handle on top of the device. Not that easy to ride – It is not that easy to learn how to ride this scooter. Before you get to be that “cool dude effect” riding a unicycle scooter, you have to do a lot more practice in your first few rides. Compared to the 2 wheel self balancing scooter, learning to ride this will take a little more time. But don’t worry it is not impossible to ride. Design – It is not that eye candy at all. Although functionality is great, Our Website thinks that the designers should have spent more time to make it look more appealing to the eyes. There are tons of great reviews in Amazon and other websites, that is why we had to take a firsthand, actual review why people loves these scooters. Is it just because of the affordability, design, functionality, cool look effect? Whatever the reason is, our website listed above why we think these top 5 scooters are a great buy.